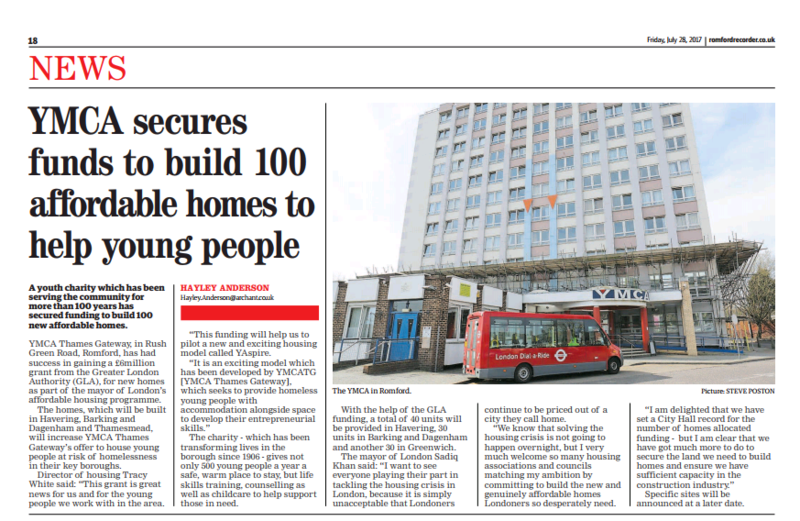 Brian Cooke, Director of Housing for YMCA Thames Gateway said: “With homelessness now at an all-time high and spreading well beyond traditional city heartlands, we are calling on the local community, old and young, to sign up for the event to help us provide more young people with a safe and welcoming place to realise their potential. This will be the third sleep out for the leader of Dartford Borough Council, Councillor Jeremy Kite. 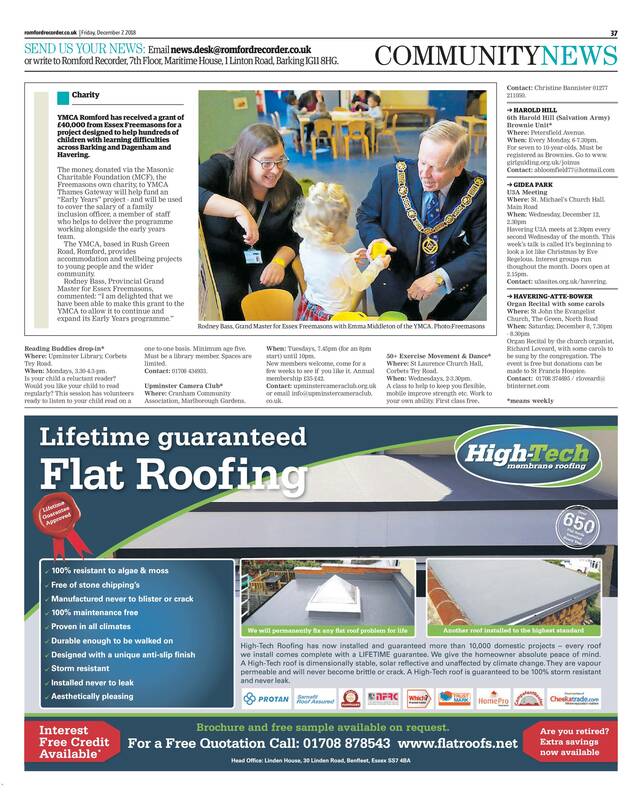 He said: “There are many reasons why people find themselves in housing crisis and whilst I don’t pretend to know what all the answers might be, I do know that the problem has been with us for too long and that great local communities have a part to play. Michael Jelly-Mead, 27, will be taking on the Vitality Big Half marathon in aid of Romford’s YMCA Thames Gateway. A 27-year-old personal trainer who was left paralysed from the chest down is getting ready to take on a half marathon for charity. 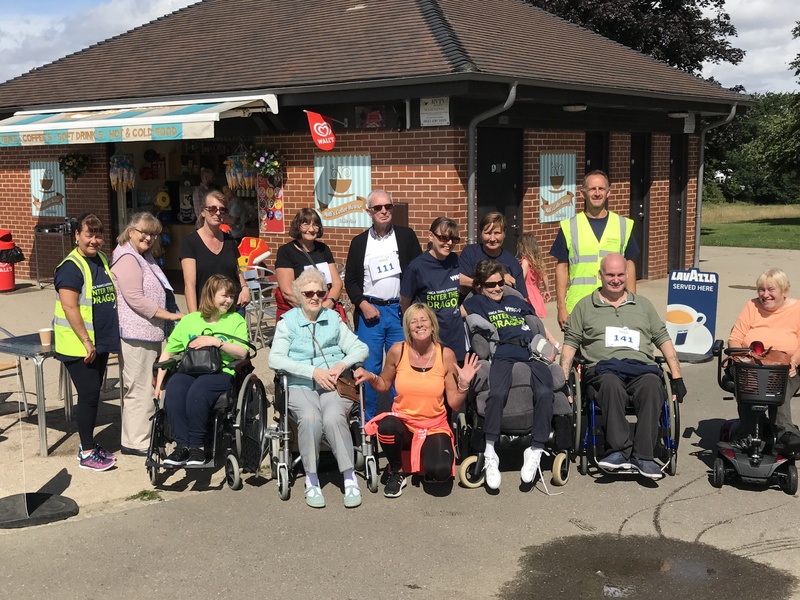 Michael Jelly-Mead will be taking part in the Vitality Big Half, an inclusive mass participation event which aims to cater for runners of all abilities, including those with disabilities. In 2008 when he was just 17, Michael suffered from an unknown virus that left him mostly paralysed and with a severe visual impairment. To build up his upper body strength, he joined the gym at YMCA Thames Gateway in Romford. Since then, he has qualified as a personal trainer and fitness instructor. Michael wants to give something back to the YMCA and so will be taking on the challenge for the Romford charity in March. 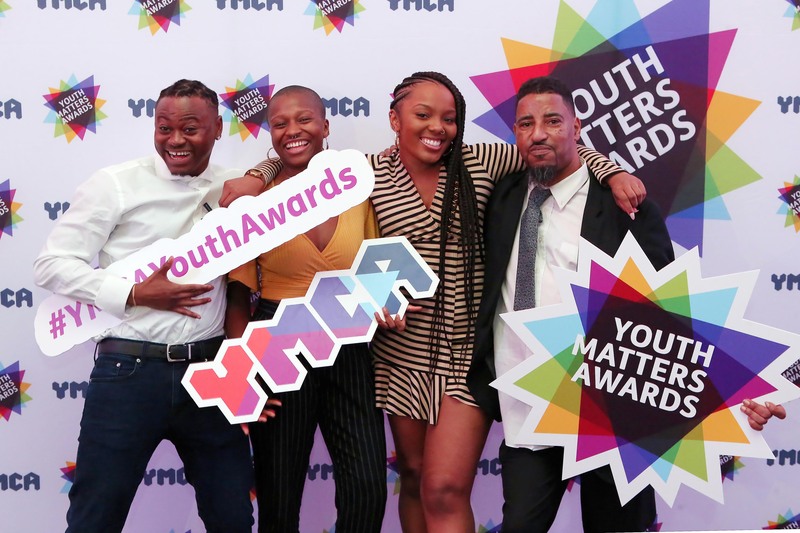 An inspiring youth group from YMCA Thames Gateway has beaten off competition to be crowned the Family Work Project of the Year at the charity’s national youth awards earlier this month. 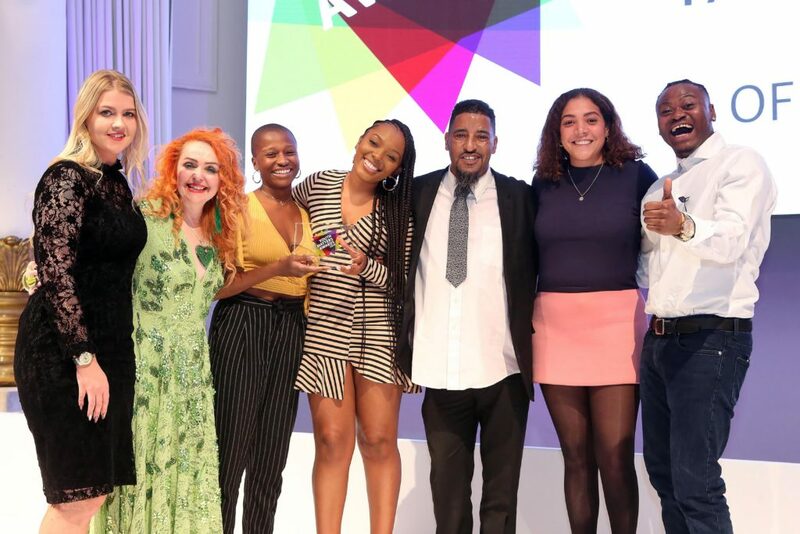 RevolYOUtion triumphed over two other inspirational youth programmes at the Youth Matters 2018 awards ceremony, which was held at the exclusive central London venue, 8 Northumberland Avenue and hosted by TV presenter Miquita Oliver. The Family work project of the Year Award recognises the groups’ outstanding commitment to building a brighter future for young people and for going the extra mile to make a real difference to their lives. 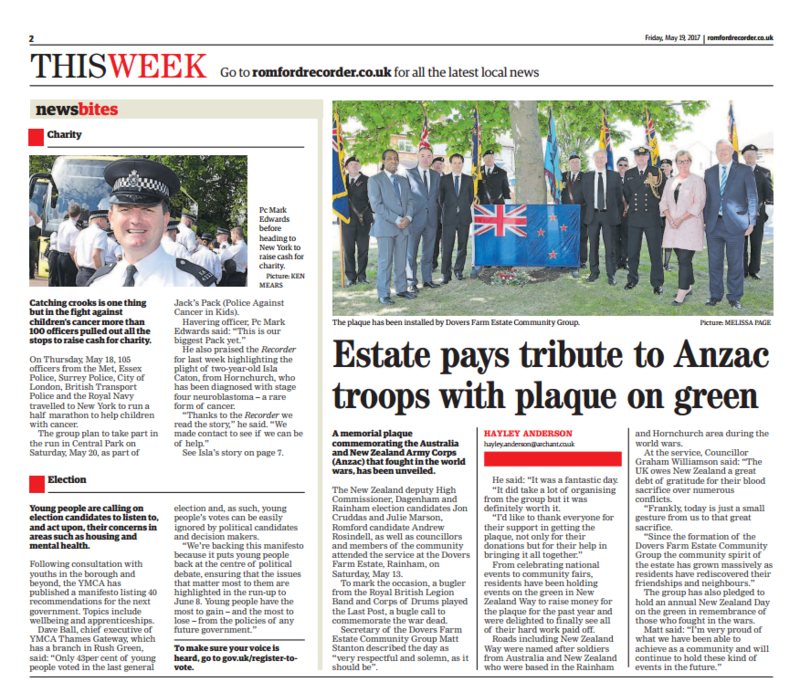 RevolYOUtion was one of three finalists to make it through to the awards night, after battling through judges’ shortlisting and an online public vote. 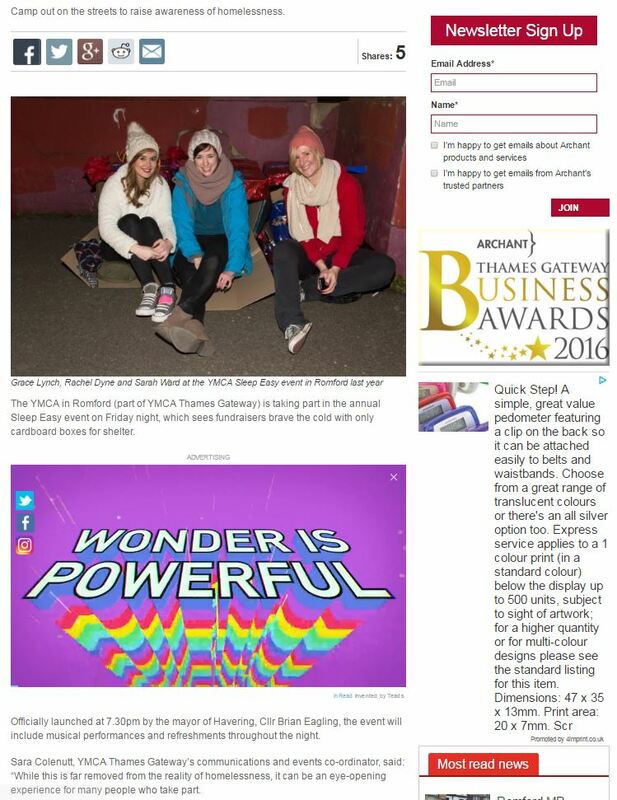 The group were praised by judges for their commitment to the young people living in Woolwich. 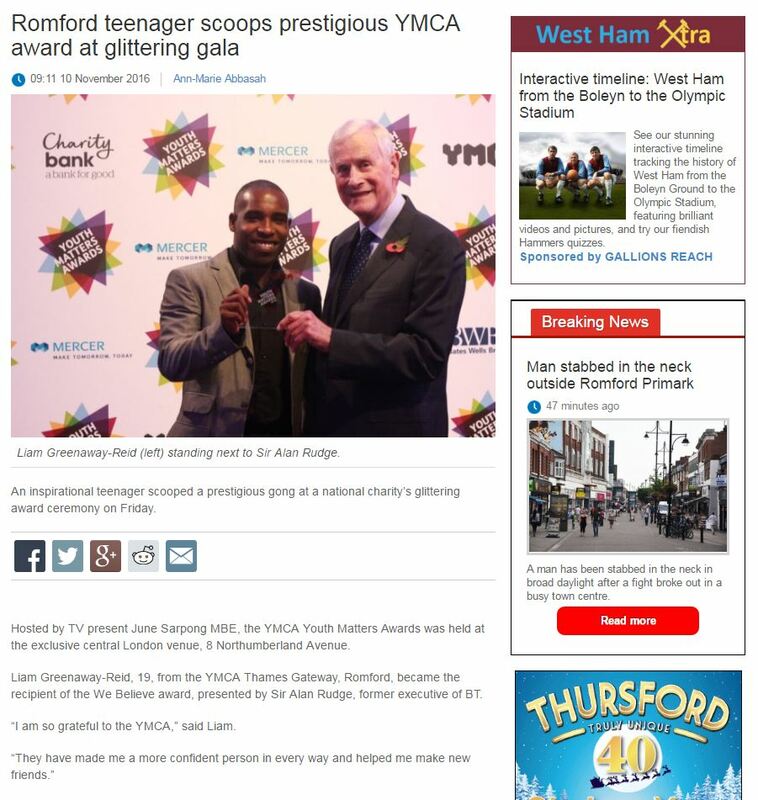 Youth Matters is YMCA’s national awards programme that has been an integral part of the charity’s calendar since 2009. It celebrates the outstanding skills and achievements of young people from across the country and also recognises the vital work that YMCAs deliver every day. orker for YMCA Thames Gateway said: “It’s an absolute pleasure to work with young people who bring both passion and determination to create change in their community. The group are all focused on supporting the ever increasing need for young people to have a voice in our society. Providing a platform for discussion, solutions and advocacy on behalf of those who find it difficult to speak up about issues they face. 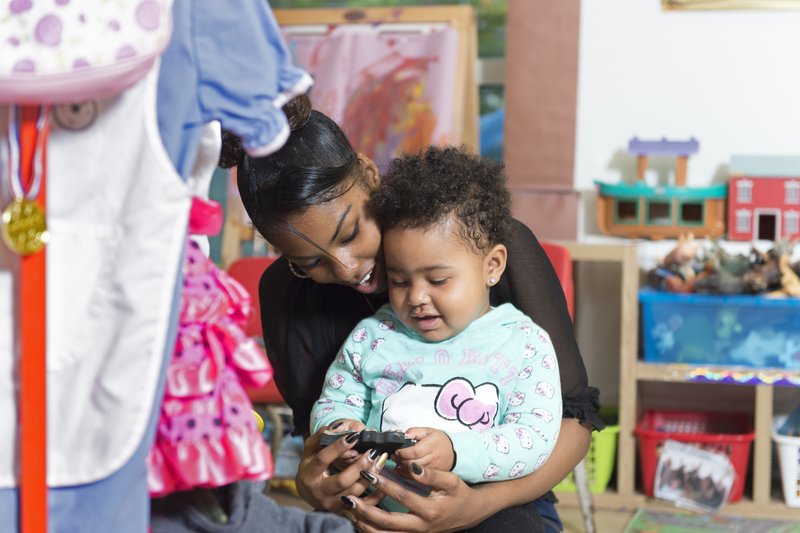 Locally, YMCA Thames Gateway provides supported accommodation; children’s services including nurseries, a youth club and spaces to hire. The charity also delivers Kitchen Social, a project funded by the Mayor of London providing children from disadvantaged backgrounds with a healthy meal during the school holidays. WILL YOU SLEEP ROUGH FOR ONE NIGHT SO OTHERS DON’T HAVE TO? 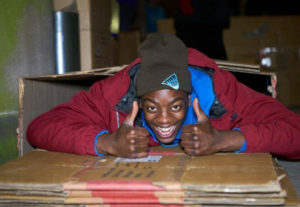 YMCA Thames Gateway is calling on local residents to come together and sleep rough for one night in March to support local, homeless young people. The local youth charity, which has worked in the area for over 130 years, is hosting a Sleep Easy fundraiser in Central Park, Dartford on Friday 16 March 2018. The event will see participants sleep on the street for an evening to not only raise money but also awareness of youth homelessness. 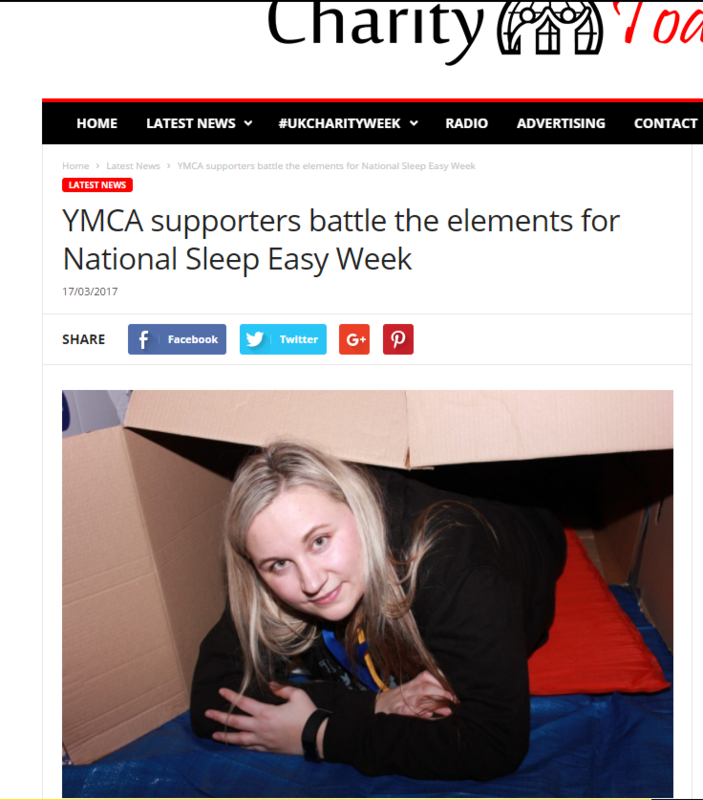 YMCA Thames Gateway is one of several local YMCAs across the country that have joined forces to raise awareness during the national Sleep Easy Week (9 to 16 March). 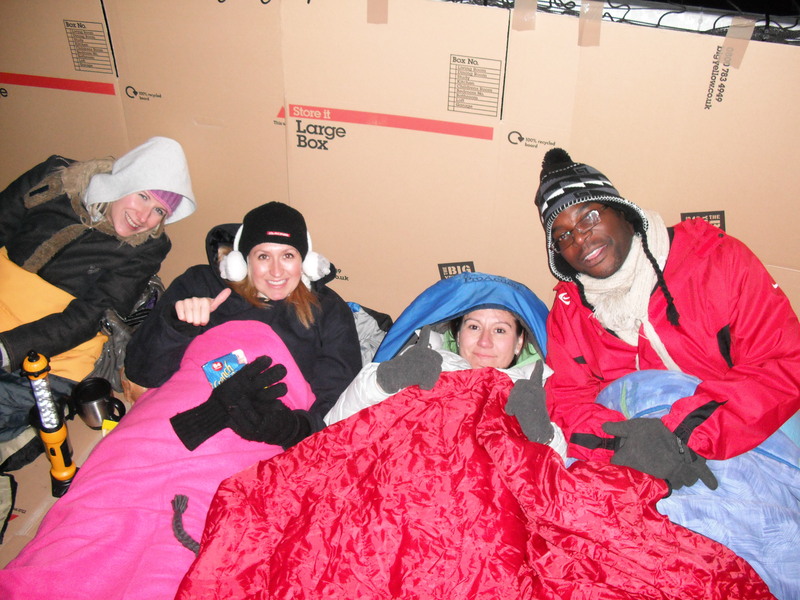 Hundreds of supporters are expected to sleep out all over the country to raise funds to help YMCA continue to support residents and young people in its services. 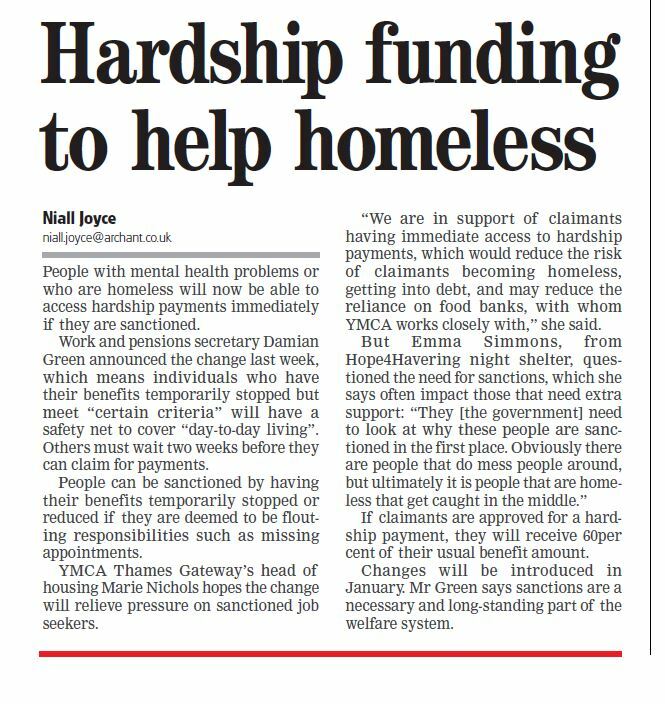 It is hoped that this year’s coordinated fundraising week will help YMCA Thames Gateway raise even more funds as the numbers of rough sleepers of all ages continues to rise and pressures mount on the housing market. 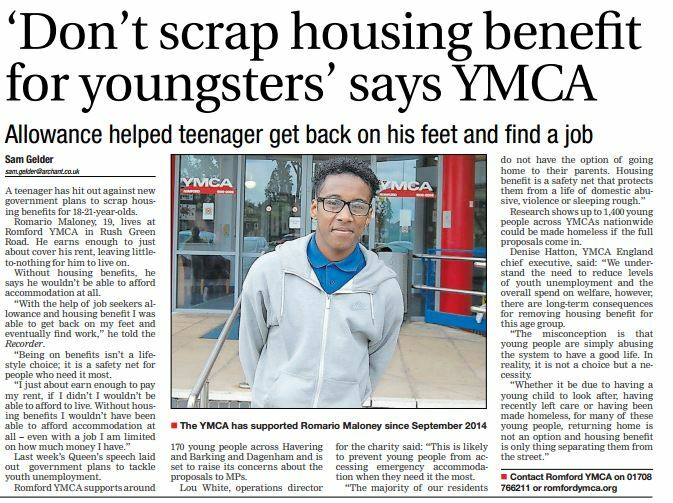 Dave Ball, YMCA Thames Gateway’s Chief Executive, said: “Without the support we offer, many more young people would be sleeping on the streets and have less options and less chance of realising their potential. 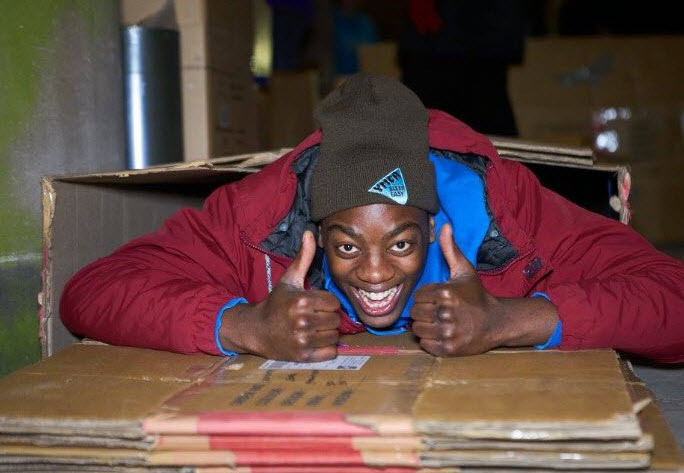 To register for the Sleep Easy event with YMCA Thames Gateway visit their website at www.ymcatg.org or email sleepeasy@ymcatg.org. YMCA Thames Gateway joined forces with YMCAs across the UK and Ireland last week to support a major mental health campaign, as new research reveals the damaging effects of negative language and stereotypes about mental health. Research from YMCA showed that ‘psycho’, ‘retard’ and ‘attention seeker’ were among the most commonly used words, as two thirds (66%) of young people who have seen or heard harmful words and negative stereotypes relating to mental health say it is simply part of everyday language. 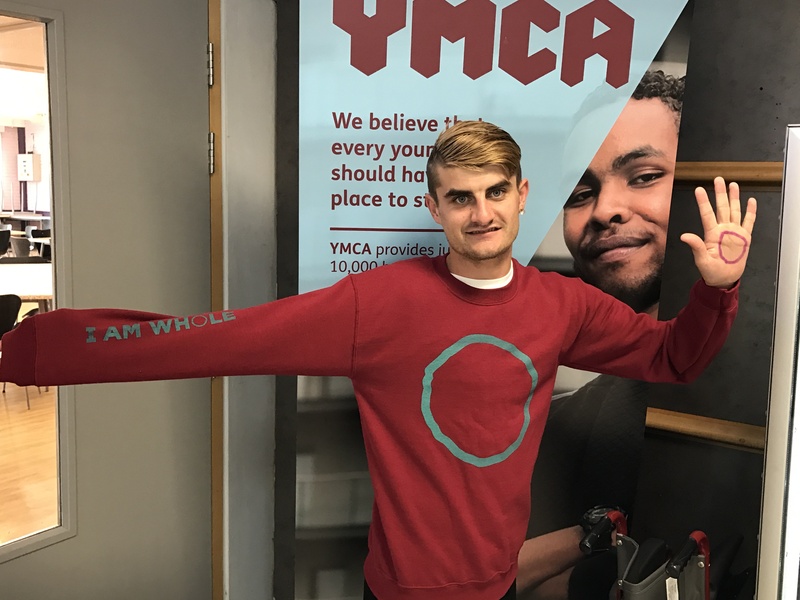 More Than Words, published on World Mental Health Day, as part of the YMCA and NHS #IAMWHOLE campaign, also showed that 44% of those who have heard or seen negative stereotypes did so on a weekly basis, with young people coming across an average of 33 different words and terms. In support of #IAMWHOLE 2017 YMCA Thames Gateway launched the research at their Romford site. Alongside this they held an information event for the general public to find out more about local mental health services alongside organisations such as Havering Mind, Samaritans, NELFT, as well as offering a free massage. Researchers spoke to more than 2,000 11-24 year olds and found that even though nearly nine in ten (88%) young people who have come across stereotypes and negative words think they should be challenged, less than half (48%) have done so. The research also showed the damaging impact of harmful language is evident as more than half (55%) of young people who have been on the receiving end say it stops them from talking about their difficulties. #IAMWHOLE 2017 is being fronted by rock band, Nothing But Thieves – who have recorded an exclusive version of the title track from their hit album ‘Broken Machine’ to support the campaign, as well as last year’s campaign lead Jordan Stephens from Rizzle Kicks. “Negative language surrounding mental health is so engrained into our everyday language it makes it almost impossible to tackle stigma if we don’t change the way we talk about people experiencing mental health difficulties. While everyone knows how damaging insults can be, it’s the more subtle elements of how we talk about the issue that really discourages young people from speaking out. Only 30% of young people who have heard or seen stereotypes and negative language say they are used with the intent to cause harm, with the majority (79%) putting their use down to a lack of understanding about mental health. 74% of young people who have heard and seen negative words and stereotypes say people must be educated about mental health to stop these, while 70% say talking about mental health will help tackle the issue. Anyone who wants to get involved in the campaign can do so by posting an #IAMWHOLE selfie on Facebook, Twitter or Instagram. On World Mental Health Day, 10 October, YMCA Thames Gateway and Havering MIND are hosting an information event at YMCA Thames Gateway, Rush Green Road, Romford. The pop-in event is open between 2pm – 5.30pm and will give members of the public a chance to find out more about local services available around mental health. There will be a range of stall holders who can provide tools and information to support you. The event is being held as part of the #IAMWHOLE campaign run by YMCA England. It is a nationwide anti-stigma mental health campaign being launched on Monday 10 October by YMCA England & Wales and the NHS. It is being backed by celebrities including Ed Sheeran, Dermot O’Leary and James Corden and is fronted by UK musician Jordan Stephens (from the band, Rizzle Kicks). The campaign focuses on young people and a range of materials available for schools and anyone working with young people will be available. If you are interested in coming along on the day there is no need to book, just pop in. If you work in mental health or offer a service that supports positive mental health and are interested in having a stall get in touch. For further information on the event call 01708 770423. Enter the Y Dragon inclusive 5k fun run raises over £3k! Over £3,000 was raised by YMCA Thames Gateway at their first ever ‘Enter the Dragon’ 5K Fun Run in St Raphael’s Park in Romford back in July. Over 30 people took part including participants of the YMCA’s specialist fitness programme which supports cancer and stroke rehabilitation. Alongside the Enter the Dragon Fun Run the YMCA Thames Gateway CEO, Dave Ball took part in a 187 mile off-road cycling challenge through the backbone of Wales. 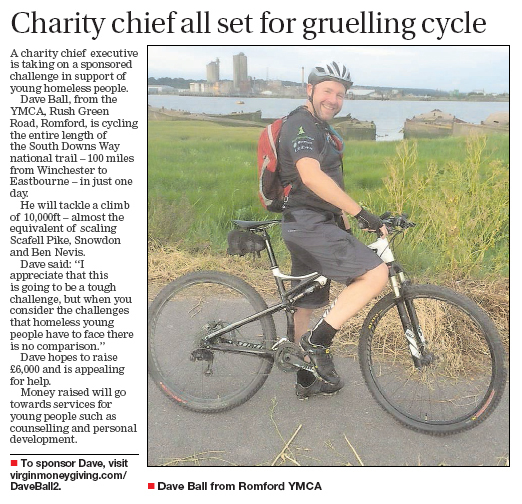 Dave said “It was a difficult challenge and there were times when I really didn’t think I’d make it to the end. But what really kept me going was knowing that the money I was raising was going towards our cancer and stroke rehabilitation programmes at the YMCA and thinking about the difference this makes to people. 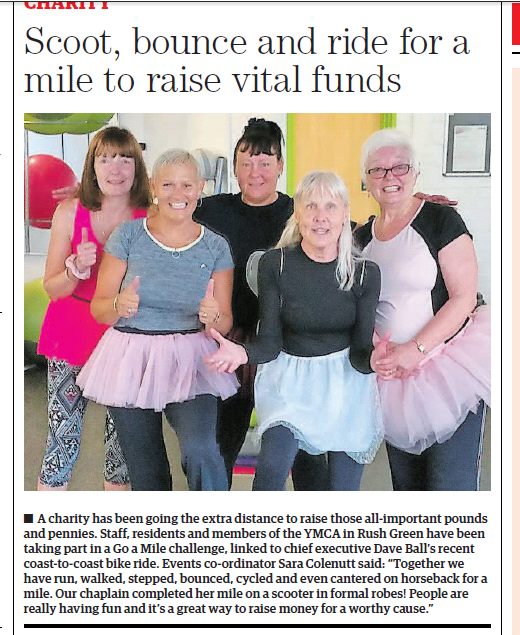 All the money raised will be used to support cancer and stroke rehabilitation programmes at the YMCA Fitness. 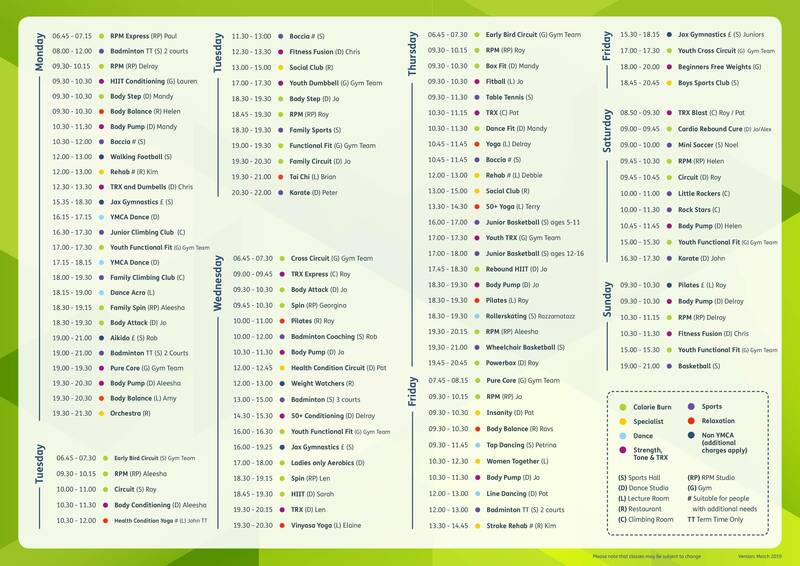 If you’d like to find out more about these programmes contact 01708 766211 or there is still time to donate at www.ymcatg.org. 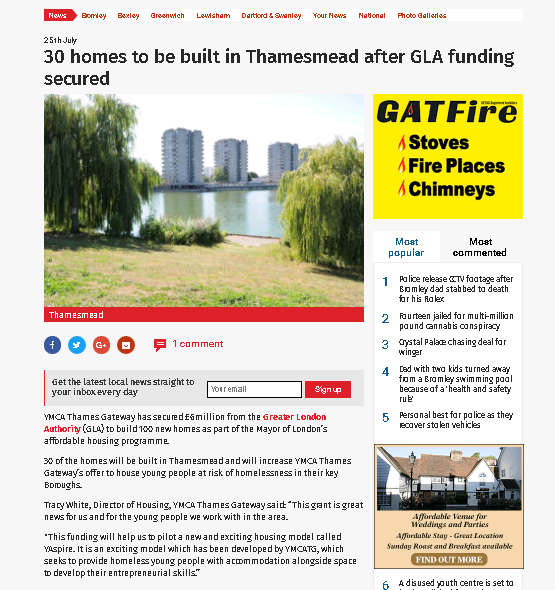 YMCA Thames Gateway has been successful in securing £6m from the Greater London Authority (GLA) to build 100 much needed new homes, as part of the Mayor of London’s affordable housing programme. The Mayor of London, Sadiq Khan, said: “I want to see everyone playing their part in tackling the housing crisis in London, because it is simply unacceptable that Londoners continue to be priced out of a city they call home. “We know that solving the housing crisis is not going to happen overnight, but I very much welcome so many housing associations and councils matching my ambition by committing to build the new and genuinely affordable homes Londoners so desperately need. 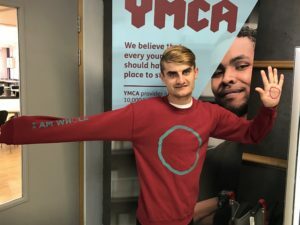 A youth charity from Romford is calling on local political candidates to listen to the voices of young people who have been given a platform in this year’s General Election through a national YMCA manifesto. YMCA Thames Gateway, which supports young people across Havering, Barking & Dagenham, Greenwich and Dartford, has given its backing to the national YMCA manifesto that lists more than 40 recommendations for the next government, all inspired by consultations with young people across the country. Dave Ball, Chief Executive of YMCA Thames Gateway, said: “Only 43% of young people voted in the last General Election and, as such, young people’s voices can be easily ignored by political candidates and decision makers. The charity runs a range of services locally including supported accommodation, a fitness centre and a range of children’s & youth services. It is part of a nationwide YMCA federation of 116 local charities that, combined, works across 740 communities and supports 630,000 people. YMCA Thames Gateway has spoken out about the positive impacts of apprenticeships as new research is released today that shows four in five young people would recommend them to others and more than three quarters say they have improved their skills and career prospects. Work in Progress – a report released by YMCA ahead of the Government’s new Apprenticeship Levy that will help secure funding for three million apprenticeship starts over the course of this Parliament – showed that young people overwhelmingly backed the benefits of a vocational route into work. YMCA Thames Gateway, which offers a number of apprenticeships across their service areas in Romford and Dartford, said young people should be made aware of the positive benefits of an apprenticeship, to help them in their career choices. In fact, almost four in five young people (79%) who took part in the research said they were offered a job at the end of their apprenticeship while more than three quarters said it helped to improve their responsibilities (77%), satisfaction (78%) and salary (81%) when in the workplace. However, despite the positive prospects they afford, young people also highlighted to YMCA a number of concerns around apprenticeships, including the perception of them as a second class route to work with less than one in four (22%) receiving information on them from teachers and lecturers. Young people also spoke of the difficulties they had covering basic living costs while on the schemes as well as coping with work-study balance. YMCA found that many had no choice but to study at home and on weekends during their apprenticeship due to a lack of time in core working hours. “Apprenticeships are a great way for young people to earn while they learn the necessary skills needed for today’s job market and they are a positive experience for the majority. “Not only do they prepare young people for the workplace, but they also provide effective routes into employment and we have seen first-hand how learning new skills can boost young people’s overall confidence and set them up for a positive future. “However, while we welcome the Government’s focus on investing in the value of apprenticeships, we believe there is still room for improvement. Almost two thirds of young people (63%) were left to search the internet to find out about apprenticeships. More than a third of young people (34%) felt more could be done to improve the amount of support and advice available prior to undertaking an apprenticeship. A third of former young apprentices (34%) said they would have liked to have spent more time studying while almost a quarter (24%) said they found it difficult to balance study and work elements of their apprenticeships. Just over one third of young people (35%) said the salary they received while on an apprenticeship was enough to cover basic living costs. 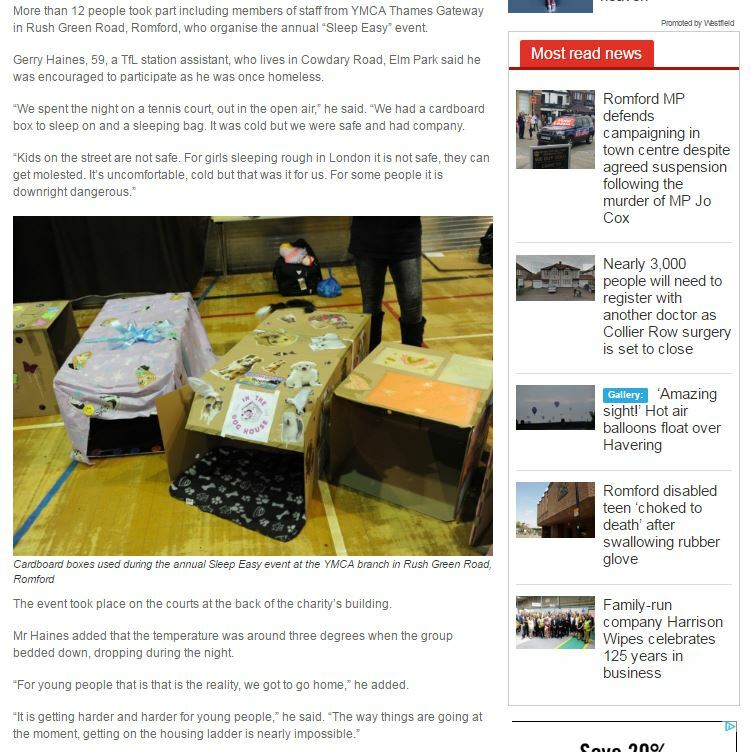 YMCA Thames Gateway is urging local residents and businesses to take part in its Sleep Easy fundraiser to support local homeless young people. 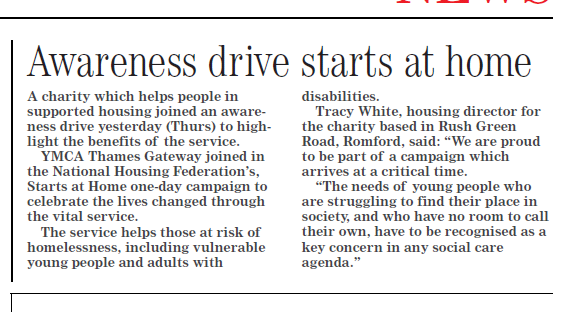 The event, which will see people sleep rough for one night to raise awareness of youth homelessness and funds for the local youth charity, will take place on Friday 3 March at the charity’s site in Rush Green Road in Romford. The night will include a competition to design the best shelter for the night as well as some songs and stories around the campfire. 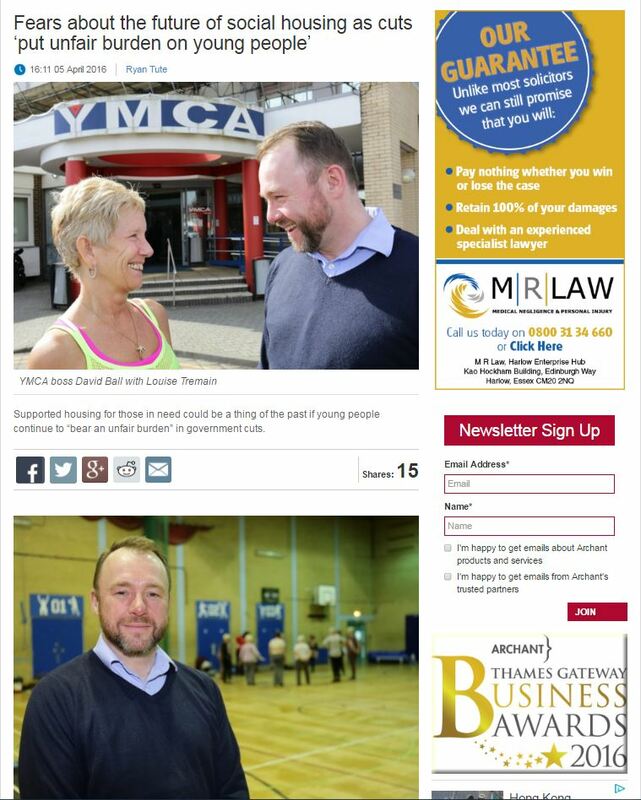 YMCA Thames Gateway has hosted Sleep Easy events since 2010 and has raised over £20,000 in that time. 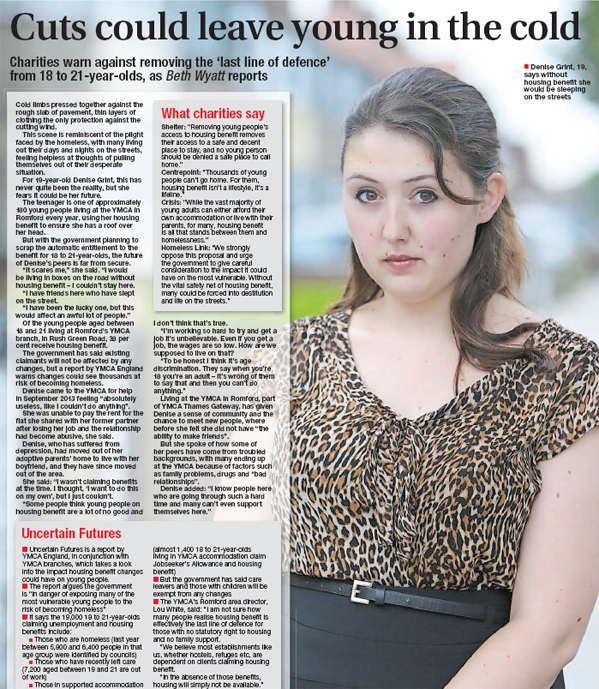 Money brought in helps the charity to change the lives of the vulnerable young people it supports every day. 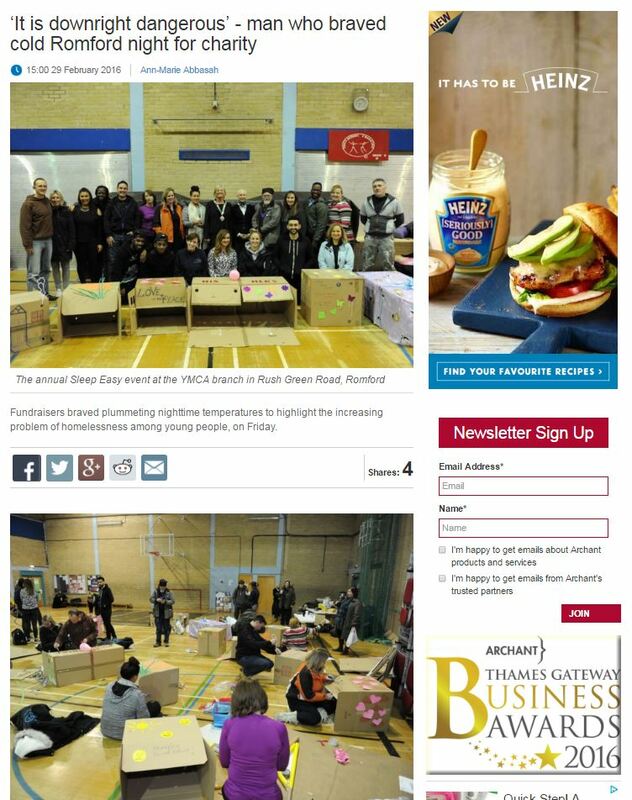 It is hoped that the event will help YMCA Thames Gateway raise even more funds as the numbers of rough sleepers of all ages continues to rise and pressures mount on the housing market. 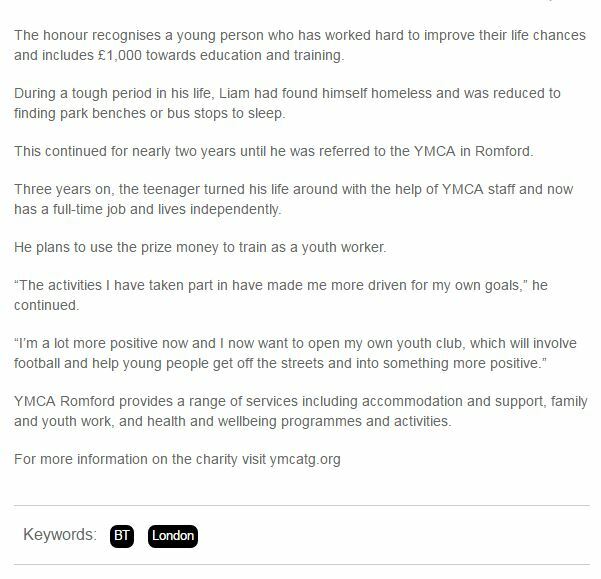 Dave Ball, YMCA Thames Gateway’s Chief Executive, said: “We know from our experience over the past 47 years that without the support we offer, many more young people would be sleeping on the streets and have less options and less chance of realising their potential. To register for the Sleep Easy event with YMCA Thames Gateway visit their website at www.ymcatg.org or contact the Sleep Easy team on 01708 766211. 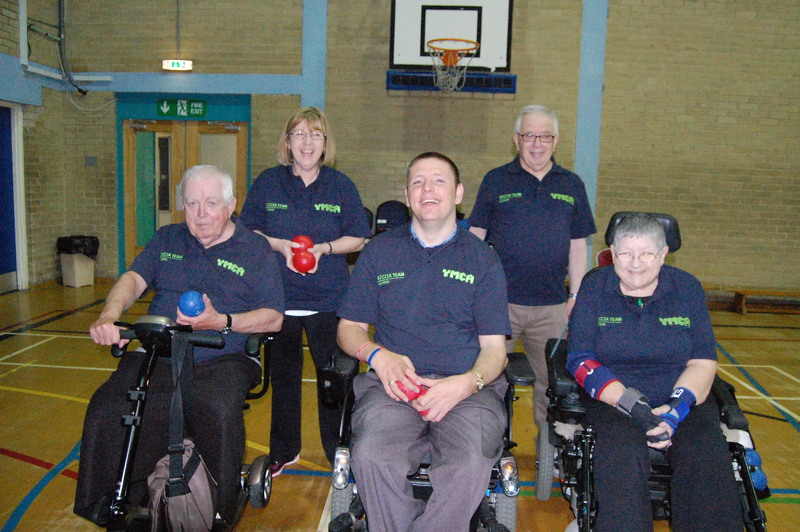 Boccia team through to the Nationals! As a result of winning all of their games in the South East 2 league, our Boccia team have made it through to the Nationals in Sheffield! This year over 75 teams competed in the fixtures and YMCATG is one of the 16 teams through to the final round. If successful the team will also have a chance to qualify for the Super League team for the next season. The competition is being held on Saturday 2 July at Ponds Forge Sports Complex in Sheffield’s city centre. 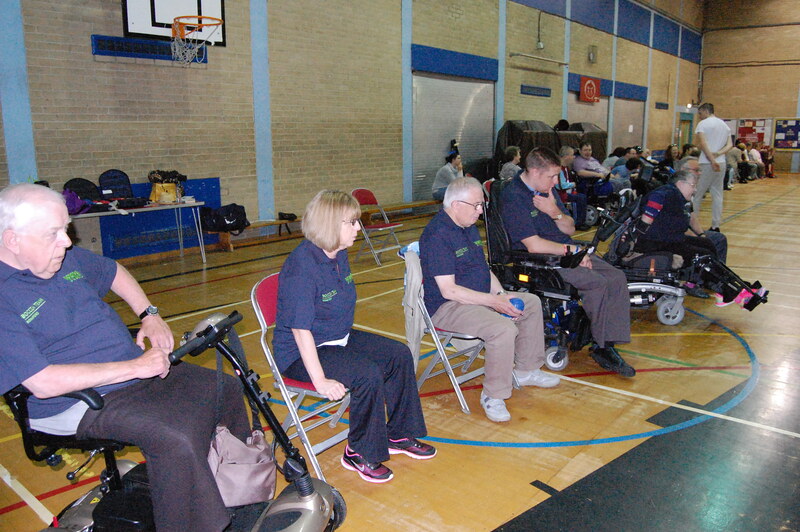 Boccia has been played at Romford since 2000 as part of our Sportsability programme and we are well known in the boroughs of Havering and Barking & Dagenham for running Boccia. We now run and host school competitions as well as competitions for the Lords Taverner’s and the Schools National Pan Disability competition.Sessions run on Mondays, Tuesdays and Thursdays at our Romford branch. In honour of the event we are hosting a race night on the same day as the competition and are hoping to raise money for new boccia equipment. If you would like tickets or further information, please contact us on 01708 766211. 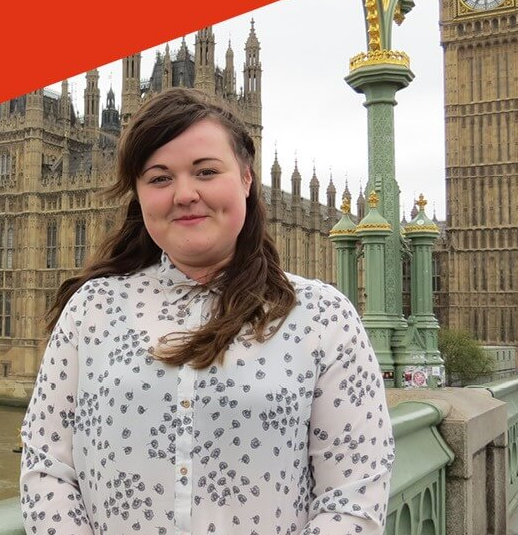 Young people will be given the opportunity to question prospective parliamentary candidates for the upcoming General Election at a hustings event organised by YMCA Romford and the London Borough of Havering’s Youth Service next week. The event, which will focus on young people aged 13-25 will be held on Thursday 23 April at Myplace in Harold Hill. Young people in the Hornchurch and Upminster constituency are being encouraged to attend the event so that they can have a voice in the run up to the general election. Candidates within the constituency have been invited to the event and will have the chance to engage with young people on the issues that affect them. The event will be chaired by YMCAs CEO, Dave Ball and will run from 7.00pm until 8.30pm. Doors will open at 6.00pm for food and refreshments. Romford YMCA will be continuing to work in partnership with Havering Council after being awarded a three-year contract to deliver a free 12-week health and wellbeing programme to local residents who have been diagnosed with cancer. 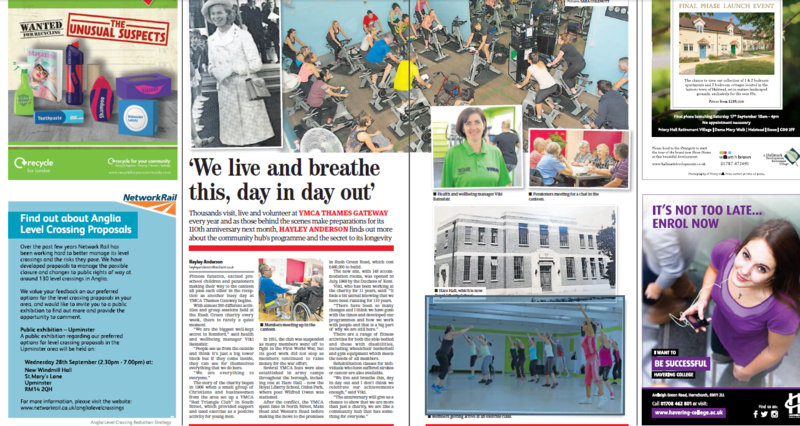 The programme, which launched last January, offers patients over the age of 16 a range of activities including group exercise classes, gym sessions and a walking programme. Activities are offered both during and after treatment and are tailored according to individual needs, and accommodate all levels of fitness. A team of four specialist cancer rehabilitation instructors lead the programme. Speaking about her experience on the programme, Ann Whittington said “This programme was excellent with the added bonus that a friend or partner could accompany and act as cheerleader when required. Once the treatments for cancer cease it can seem that you are a little adrift as your weeks have been filled with hospital appointments, procedures etc. Going to the gym put a structure back into our week and that really helped when trying to get back to a normal life and routine. There are many benefits to keeping active before, during and after treatment. These include reducing tiredness, relieving pain, improving bone health and reducing the risk of osteoporosis, as well as helping to maintain a healthy weight and improving general fitness levels. Patients can either be referred to the scheme by their doctor or health professional or can refer themselves, when they are ready to undertake light exercise. For further details about the programme please call YMCA Romford on 01708 766211. Ann pictured left on a recent skiing holiday. A new manifesto, launched by national youth charity, YMCA, is calling on politicians from all political parties to consider the needs of young people, the future generation. Staff and young people from YMCA Romford went to the Houses of Parliament last week to support the launch and had the opportunity to speak to Stephen Timms, MP and Shadow Minister for Employment and Jack Dromey, MP on some of the issues that affect them. Julie Hilling, MP hosted the launch. 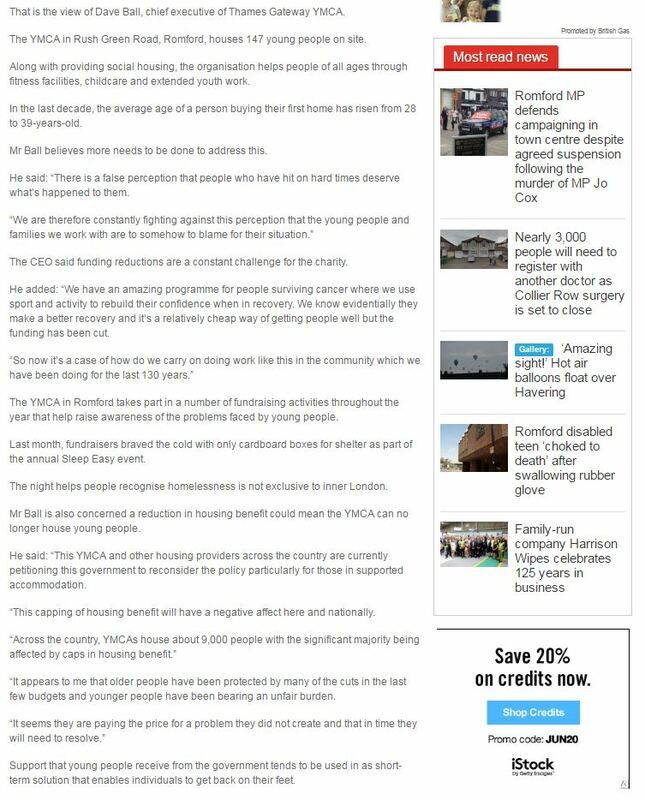 YMCA Romford resident, Joanne Whatmore attended the launch and was in support of the recommendations set down in the manifesto. The 23 year old spoke about some of the challenges young people face and in particular how benefit sanctioning affected her and many of her peers: “Many of the sanctions are unrealistic and unfair and can lead to benefits being stopped, sometimes for up to a month which can leave many young people in a vicious circle of debt.” Joanne has been living at YMCA Romford for 18 months and is currently seeking employment. Rachel Dyne, Housing Support Worker at YMCA Romford was also at the launch and spoke about the challenges young people face: “Young people represent the future of our country. In our work, we constantly find ourselves supporting young people who are keen to learn skills, pursue job opportunities or who, once someone takes time to listen, reveal big plans and ideas for how they would like to contribute to the local community. Young people from YMCA Romford met with the International Monetary Fund (IMF) recently to talk about the issues surrounding youth unemployment. The IMF promotes growth and poverty reduction on a global scale as well as providing policy advice and financing to countries facing economic difficulties. The IMF’s Senior External Relations officer, Hyun-Sung Khang spoke to three of Romford YMCA’s young residents on issues such as job seekers allowance, housing benefits and looking for work. They also talked about the social isolation and anxiety they had experienced as a result of being unemployed and feeling as though they were slipping further and further from the job market. The interview will form part of a piece of research that the IMF are doing on youth unemployment across Europe.